Settle your baby or toddler to sleep as they enjoy the soothing light show from the hypnotic colour change Spaceman Light Mobile. 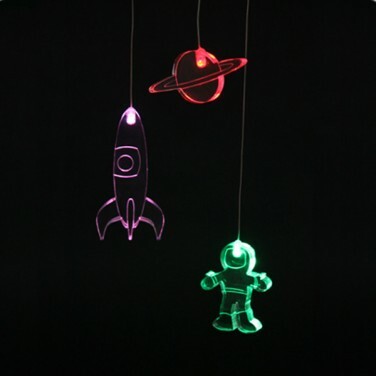 The mobile supports three acrylic space themed shapes, a spaceman, a rocket ship and planet each of which contain a colour changing LED that projects a colourful display through each character. 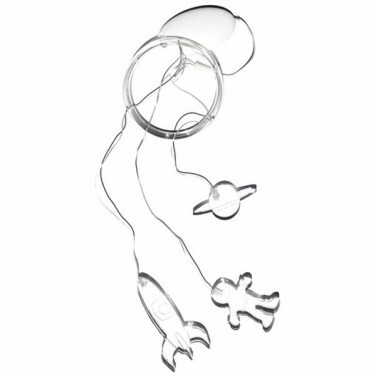 A fabulous soother for baby, this gorgeous mobile also makes a fantastic themed room decoration for younger children and makes a brilliant night light.